Jazz Royalty. The one and only! Wynton Marsalis brings his legendary Jazz at Lincoln Center Orchestra (JLCO) to Melbourne to perform, for the very first time, with the full symphonic sound of the MSO. The nine-time GRAMMY® Award-winning trumpeter is one of the world’s most popular jazz musicians and has received countless accolades throughout his decades-long career. 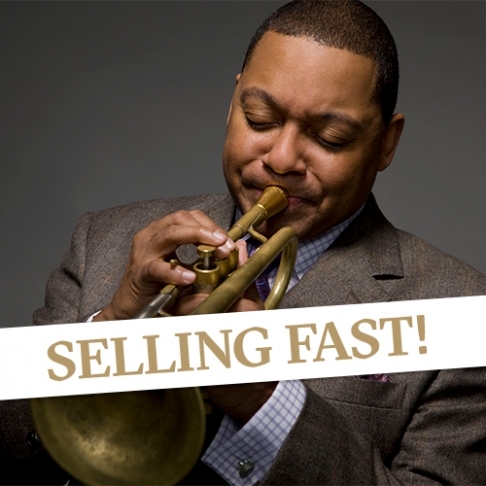 For three nights in Hamer Hall, experience Wynton Marsalis and the JLCO perform some of the biggest hits from the history of jazz music. Marsalis’ career spans both jazz and classical music, and Melbourne audiences will be among the first in the world to see his latest orchestral masterwork, his Fourth Symphony The Jungle. Having debuted with the New York Philharmonic, The Jungle is an ode to The Big Apple and continues the jazz/symphonic orchestral traditions foretold by Dvořák, initiated by Ellington and Gershwin, and furthered by Bernstein and Schuller. Wynton Marsalis last performed in Melbourne more than twenty years ago, and it’s hard to imagine a more famous and important ensemble to partner with the MSO than the JLCO. Take your seat and experience one of music’s all-time greats. Presented in collaboration with Arts Centre Melbourne and the Melbourne International Jazz Festival.